Massachusetts Water Resources Authority (MWRA) - Boston GreenFest - Aug. 16-18, 2019 - FREE! MWRA is a Massachusetts public authority set up to provide water and sewer services to 3.1 million people. 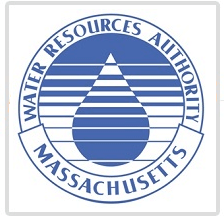 MWRA is a Massachusetts public authority established by an act of the Legislature in 1984 to provide wholesale water and sewer services to 3.1 million people and more than 5,500 large industrial users in 61 metropolitan Boston communities. MWRA's mission is to provide reliable, cost-effective, high-quality water and sewer services that protect public health, promote environmental stewardship, maintain customer confidence, and support a prosperous economy. Every day Eastern Massachusetts residents quench their thirsts, bathe, flush toilets, do the dishes and water their lawns with water drawn from the MWRA water system. 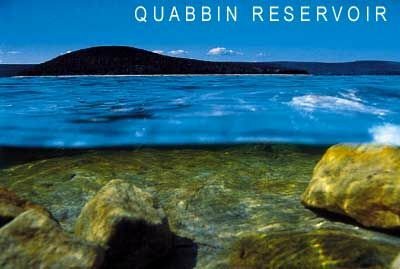 Thanks to the Quabbin and Wachusett Watersheds and Reservoirs MWRA customers have one of the most abundant and high quality water supplies in the world.